Given the closed shop that the Supreme Court is, the media and the lawyers are the only sources of information for the public at large. New Delhi: In 1997, the Supreme Court gagged the petitioners in the Narmada Bachao Andolan case from discussing the issue in the media until the final judgment was delivered. Despite the interim orders on April 11, 1997 and November 5, 1998, Medha Patkar gave an interview to Hindustan Times and Booker prize-winning author Arundhati Roy discussed it in her book The Greater Common Good. When the court hauled up Roy for contempt, it appointed K.K. Venugopal as amicus curiae (Latin for a friend of the court). Incidentally, Prashant Bhushan was Roy’s advocate. Venugopal, as attorney general of India, appointed by the Bharatiya Janata Party (BJP) in 2016 has moved a contempt of court petition against Bhushan. The contemptuous act is a tweet posted by Bhushan alleging that the attorney general misled the Supreme Court regarding the appointment of M. Nageswara Rao as the interim director of the Central Bureau of Investigation (CBI) on January 10. In an affidavit to the court, Venugopal claims Bhushan scandalised the court by commenting on a case that is sub-judice through his “reckless” and “vindictive” tweets. He also says that the tweets cast an aspersion on a sitting judge (A.K. Sikri) and the attorney general himself. On February 1, the attorney general claimed that the high powered committee (HPC) comprising Prime Minister Narendra Modi, Justice A.K. Sikri (CJI Ranjan Gogoi’s nominee) and the leader of opposition in the Lok Sabha Mallikarjuna Kharge indeed finalised the appointment of Rao as interim chief of the CBI in its January 10 meeting. Venugopal submitted the “confidential” minutes of the meeting to the court (and only for the eyes of the bench comprising Justices Arun Mishra and Navin Sinha) and said the HPC took a call on appointing Rao. Bhushan, in his tweets, questioned this claim based on letters written to Modi by Kharge and speculated if the government had submitted fabricated minutes of the meeting in the secret envelope. Who takes responsibility for top secret contents in sealed envelopes? As AG, Venugopal refused to take responsibility for a secret envelope even as he handed it over to the court himself during the Rafale hearing in November last year. “I do not know the contents of this document since I have not opened it. If there’s a leak tomorrow, I do not want anyone blaming my office,” he said in court while handing over the sealed envelope. So far, at least one instance of the government misleading the court by suppression or submitting dubious information in secret envelopes has come into light. As the highest ranking law officer, if not the attorney general, who takes responsibility for it? In this context, it seems only fair to at least question the AG’s statements about contents in a sealed envelope. Apart from Roy, Venugopal has defended many in contempt of court cases. In 1981, he appeared for an advocate sentenced to two months’ imprisonment under the Contempt of Courts Act for hurling a shoe at a judge. Venugopal argued that the bad publicity was punishment enough and that the high court was unnecessarily “fanning” the issue by taking cognisance of the incident. In 1994, he appeared for the Uttar Pradesh government and then chief minister Kalyan Singh in the contempt of court case after the demolition of the Babri Masjid, the cases which are still pending. Even recently, in 2017, Venugopal was the lone sane voice in the cacophony before a seven-judge bench in the Supreme Court against holding former Calcutta high court judge justice C.S. Karnan for contempt of court. Venugopal asked the court to let the judge retire gracefully, but this approach was vehemently opposed by then attorney general Mukul Rohatgi. Even as attorney general, Venugopal declined permission for initiating contempt proceedings against senior advocate and Congress leader Kapil Sibal. So now, why is Venugopal pursuing this case? He isn’t. He’s perhaps speaking for the Modi government that wants to simply gag activist lawyers from speaking about troubling cases that are bad optics during the election season. In a simple hearing, the court could have tested the veracity of competing claims made by Bhushan and Venugopal to resolve the matter. Even if Bhushan was mistaken, it would certainly not amount to contempt of court. But here’s where the petty vindictiveness against Bhushan becomes evident. 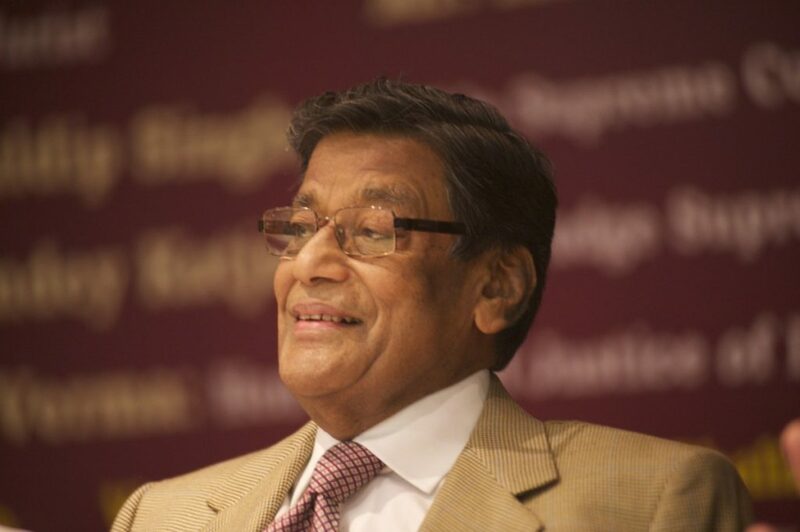 Venugopal, instead of calling out Bhushan, as he should have, told the court that he was not, in fact, interested in pursuing the present case but wants “guidelines” from the court on whether lawyers can talk about their cases in public that are sub-judice. The Centre too joined in filing its own contempt petition against Bhushan. 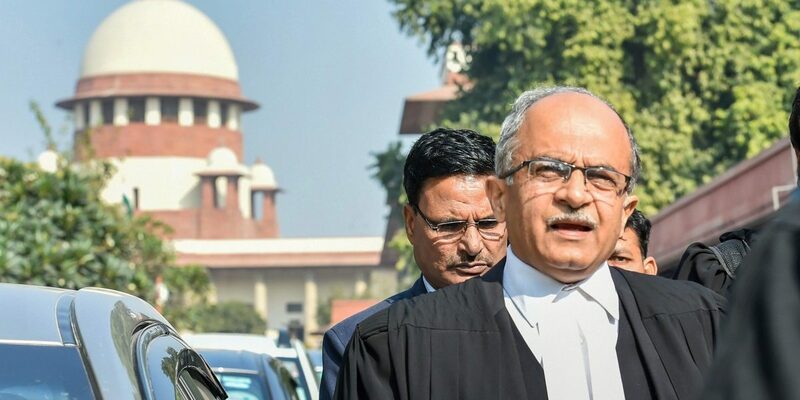 Speaking for the Centre, solicitor general Tushar Mehta, a BJP confidante who recently denied permission to prosecute Kerala state BJP leaders for contempt of court, made a passionate plea for “exemplary punishment” for Bhushan. “The attorney general is like Bhishma Pitamaha and may not want it but I want exemplary punishment for such lawyers,” he told the court. While Venugopal’s contempt plea was filed on 6 February, it was heard and notice was issued on February 7. In contrast, Bhushan’s plea challenging Rao’s appointment was filed on January 14 and was heard on February 1, after three judges recused themselves and moved the case from one court to another. The bench headed by Justice Arun Mishra duly said it would frame guidelines on whether lawyers can write articles, give interviews or participate in television debates about cases they are appearing in. Against this backdrop, the idea of a transparent judiciary seems like the horizon that is still distant even as you move towards it. In 2012, the apex court gave itself the right to gag the media from reporting ongoing cases as it seems fit in a constitution bench judgment in Sahara vs SEBI. One doyen of the bar, Fali Nariman, advocated this perilous proposition. Another doyen, Venugopal is now egging the court to make a similar mistake. Given the closed shop that the Supreme Court is, the media (which is only a handful of court reporters) and the lawyers are the only sources of information for the public at large. Last year, four senior judges, including the current chief justice, Ranjan Gogoi, openly spoke about the CJI’s handling of the judge Loya case, which was sub-judice at that time. The Supreme Court’s bid to gag lawyers is completely misplaced. In doing so, it could dangerously end up being a conduit to the government’s attempt to muzzle dissent. Apurva Vishwanath is a freelance journalist.